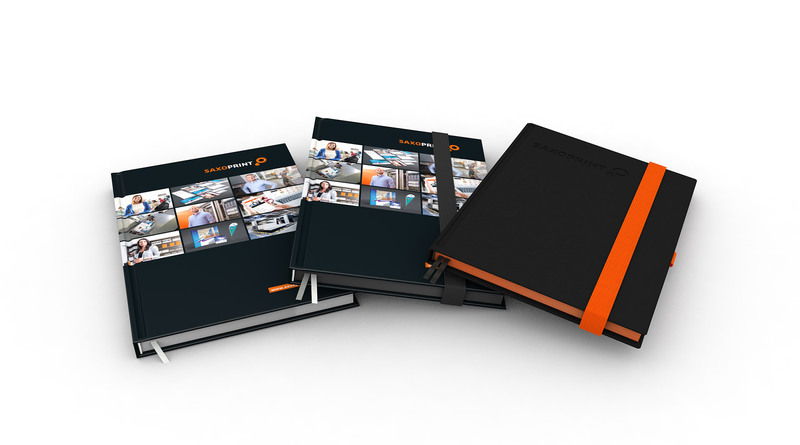 A notebook is the perfect solution for anyone who wants to record, collect and organise information effectively on a regular basis. 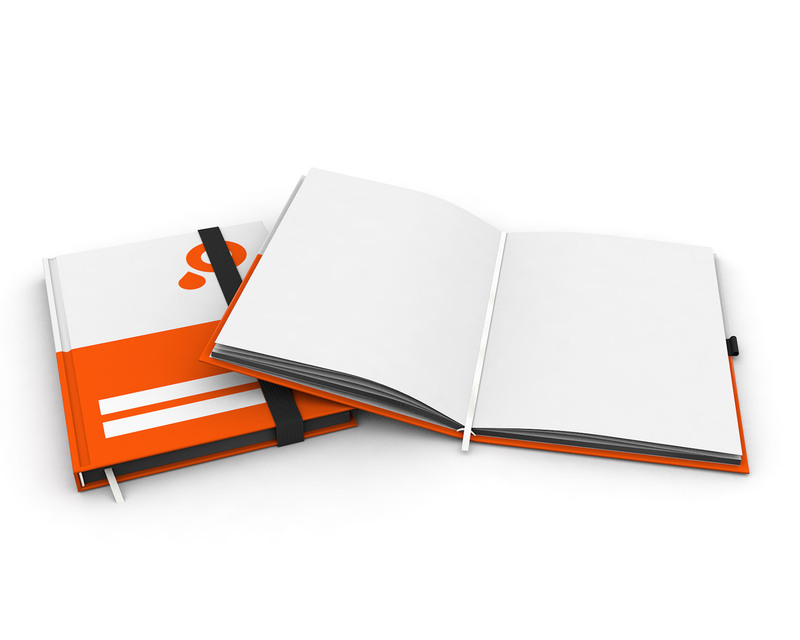 SAXOPRINT customers can now purchase notebooks in three different styles. Notebooks have many different uses and benefits that might not be immediately apparent. 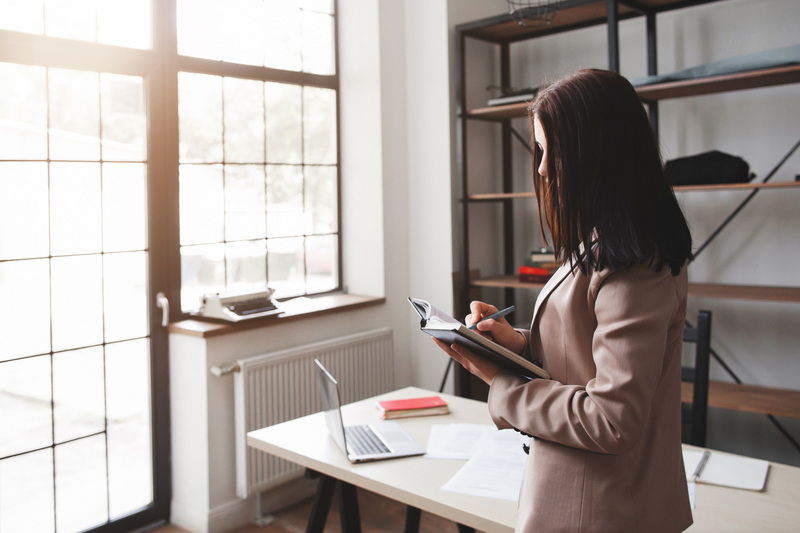 The potential user has the practical benefits of a notebook while offering companies the opportunity to advertise their brand and message to a target audience. 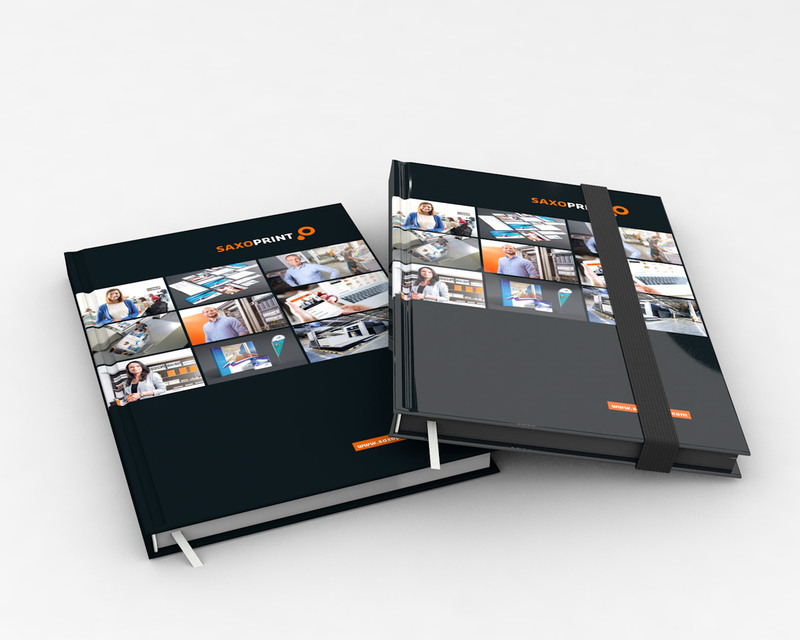 In this blog, we will both demonstrate our notebooks’ features and why, even in the age of digitalisation, users prefer to use a classic print product as opposed to a highly acclaimed Smartphone App. Notebooks were widely used in ancient times. The earliest form of notebooks were known as ”hypomnema”. They served as memory aids which could be used to record quotes, thoughts and reflections, experiences or notes on texts. A wide variety of information could be collected, organised and reflected upon at a later date. Centuries later, it is still hard to imagine everyday life without these practical little books. Digitalisation has not fundamentally altered this fact, although the options available today are now much more versatile. In the following sections, I would like to highlight the advertising possibilities our notebooks offer customers and the diverse ways they can be used. 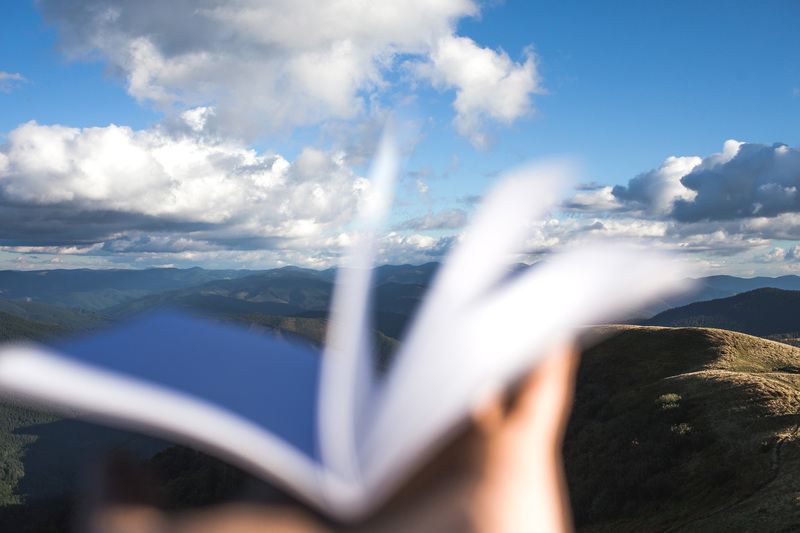 For creative people, a notebook is an indispensable tool for intellectual work. A notebook is one of the easiest ways to record ideas using a pen and paper. Illustrators, graffiti artists, architects and tattoo artists use notebooks as sketchbooks or blackbooks to put their first drafts on paper. 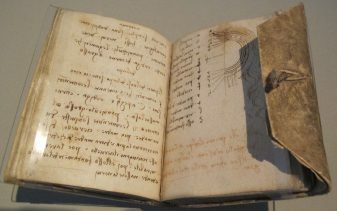 Musicians and composers also use notebooks to jot down sudden inspiration for song texts or melodies as quickly as possible. For writers, authors and journalists the writing process is often lengthy. During preparation, it is essential to put together various notes, comments and inspiration – here is where the notebook really comes in handy. The notebook was an indispensable companion for the British writer Bruce Chatwin on his trips around the world. He recorded many interviews and travelogues in his plain, black book, and consequently, the loss of his notebooks was a real catastrophe. Of course there are many other uses for notebooks. For example, young people at school and university need to record extensive information for tasks and projects. 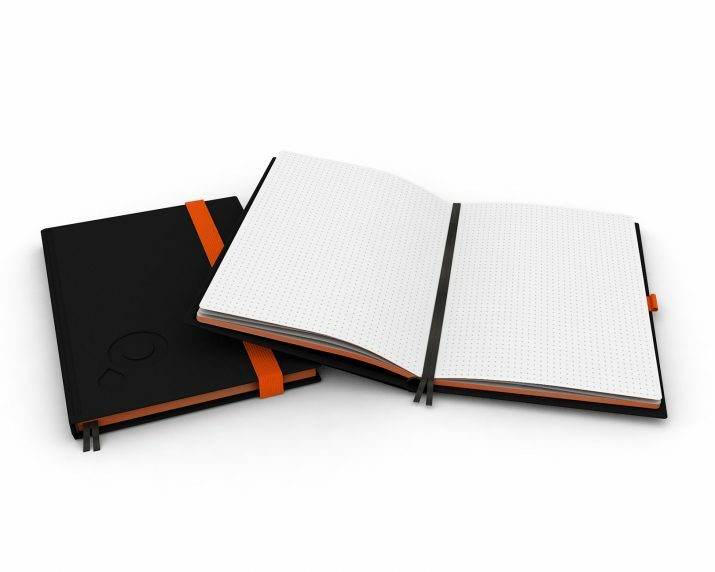 Notebooks with blank pages can be used as a scribbling pads. Another way to use your notebook is as a day book to make notes of business transactions which can be subsequently added to books of original entry and ledgers. When planning big events, such as weddings and exhibitions, it is also important to maintain an overview, so the compact size of notebooks is perfect to use when you are out and about. There are countless ways to use your notebooks including: recipe books for personal, culinary highlights, resort guest books branded with a corporate design or creative notebooks can be sold as merchandise. The notebook is primarily used in the modern business world. A quick glance around offices, workshops practices and studios reveals that a large number of employees regularly use notebooks. Used for everyday notes or during meetings and appointments – the notebook is the perfect personal companion for every well-organised employee. In the age of digital communication and information, the desire for real, tactile experiences is growing. So it is no surprise that in the IT and high-tech industry, in particular, people are once again using classic notebooks during meetings in favour of laptops and tablets. This print product offers enough potential to satisfy the desires of the digital age. Take advantage of this opportunity. As we established in the last paragraph, notebooks offer the opportunity to spark emotions in the user. This occurs before they even use the notebook. The recipient perceives the notebook as a sign of respect and that their patronage is valued. This leads to a psychological phenomenon, called the principle of reciprocity, within the customer relationship. The principle of reciprocity describes the human tendency to give back when something is received. The customer gives you their valuable attention and patronage, because they feel valued upon receiving a gift. We will now specifically consider the use of notebooks as a means of advertising. For the promotion of sales, their effect is extremely varied, for example, notebooks make an attractive welcome gift and can break the ice at an introductory meeting. Those who offer abstract products like, financial products, insurance, advertising, can use branded notebooks to create an effect of reliability and increase a sense of tangibility and trust. These advertising materials can also achieve positive effects as giveaways or bonus gifts, and when given to customers they can create a bond or strengthen the relationship with the recipient. For those who want their own qualities to be experienced first-hand and in a tangible form, should consider giving notebooks to regular and new customers. Branded notebooks carry a message that is constantly accessible to the target audience. From a marketing point of view, they are the perfect way to make your brand known. The following list introduces a few aims and uses. 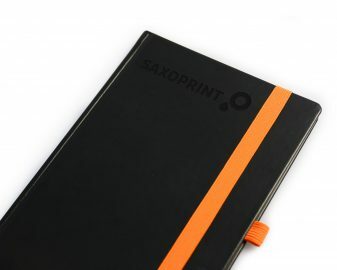 SAXOPRINT notebooks are available in three different styles, so they can be individually tailored to the respective purpose and target audience. We offer the following variations: Economy, Classic and Design. Our notebooks offer a high level of product variety and diverse optional features, coupled with an excellent price-performance ratio. The high quality dispersion adhesive binding means it is easy to open and ensures that our notebooks are extremely durable. The hard covers can be individually printed and laminated, or they can be produced in black faux leather with an optional blind embossing. 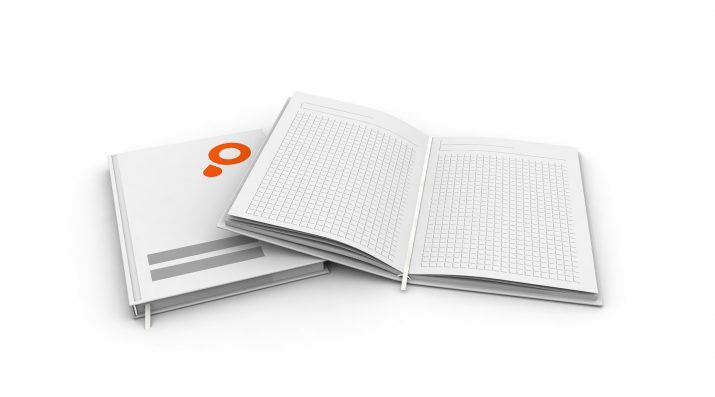 Depending on the intended purpose the pages of the notebooks can feature a grid lined background or a light dotted grid. There is also the option of white blank pages. All of our notebook pages have micro perforation, making them easy to tear out. Depending on the version you choose, SAXOPRINT notebooks come with a practical page marker, to keep your place, and a pocket for loose notes. For an individual appearance and comfort we also offer an elastic closure, an elastic pen loop and customisable coloured page edges. If you would like to experience all these features for yourself, you can order our notebook sample set. This makes it easier to choose the right option for you, so you can create the perfect print product. Booklet Binding – A difficult choice?